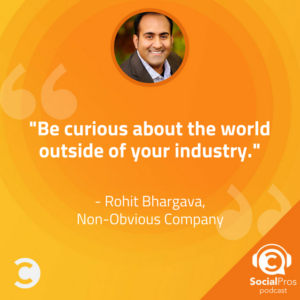 Rohit Bhargava, Found and Chief Trend Curator at Non-Obvious Company, joins the Social Pros Podcast to discuss some of the trends of the past year that you may not have noticed. Trends are like organic veggies. They can be really beneficial to your marketing recipe, but you want to jump on them while they’re fresh. Once they’ve been out for a while they won’t be as good, or worse, they’ll ruin your entire meal. The trouble is, it can be hard to stay ahead when it comes to the latest trends. By the time one becomes easy to spot it’s already going stale. It takes a lot of attention and a good helping of intuition to be able to spot what’s coming, and 2018 trends are no different. 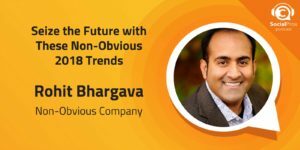 The good news is, with some diligence and the help of resources like Rohit Bhargava’s annual release of Non-Obvious, you can learn to spot the less apparent trends and steer your business into the right lane in 2018. It doesn’t even matter what it is, Rohit says to just find something long and complete it from top to bottom. Whether it’s a tv show, a book, or anything else, just work through the material to the end. Rohit would love to speak with Dilbert creator Scott Adams. He doesn’t agree with everything Adams says, but for that reason, he would love to have a conversation and be challenged to view things in a new way. Jay Baer: Welcome, everybody, to Social Pros, the podcast for real people doing real work in social media. I am your host, Jay Baer, founder of Convince and Convert, joined by my co-host, my very special Texas friend, he is the executive strategist for Salesforce Marketing Cloud. He is Adam Brown, ladies and gentlemen. Adam Brown: Jay, how are you? How are you as we close down, almost, a spectacular year for social media, 2017? 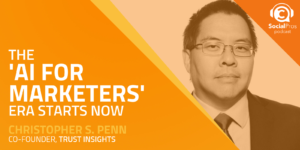 Jay Baer: Man, I am weary, brother. That's the truth, but things are fantastic. It's awesome to be doing this show with you and all of our sponsors and our guests. It beats working for a living, that's for sure. Jay Baer: Man, almost 300 shows. Adam Brown: This is a legacy, Jay Baer, a legacy. Jay Baer: Second line of your obituary, host of Social Pros, yeah. That's the way it goes. Hopefully, that obituary will not be written in 2018, but I'll tell you what has been written about 2018 is another fantastic guest, by a repeat guest on the show. We had him back almost a year ago, coincidentally. It is the man, the myth, the legend, Rohit Bhargava, who has written another edition of his runaway bestselling book, Non-Obvious. It just came out, Non-Obvious 2018 edition, How to Predict Trends and Win the Future, ladies and gentlemen. We had such a fantastic time with Ro last year when we talked about his 2017 edition. We wanted to bring him back this year, because what's extraordinary about this book, and he writes it every single year, is that it's all new stuff. It's all new trends that he has observed in life and in business, and packages them up and brings them to you. It is absolutely the book that you need to buy every single year. It is a must-read every December. Ro, welcome back to the show. Rohit Bhargava: Thank you. Thanks for having me. It's fun to be out of the writing bubble and into the talking bubble. Jay Baer: Yeah. Since you do this every year, you've been doing this for a number of years now. I'm sure you've got it down to a bit of a science, and you also are a book publisher in addition to your own books, so you really know how this works. At what point do you say, "Okay, I've collected all the trends for the year. I've written the book, and now I get into the book creation and publishing process." Is that mid-year or ... What's your cadence and calendar look like? Rohit Bhargava: It is down to a science, although I wish that it being down to a science meant that it got faster, because it doesn't seem to be getting any faster. It just seems to be going through that same process, because I know what it takes. It really is a lot of creating the, it's almost like writing a book in your head, and then the moment when you sit down and you actually write it ... You'll appreciate this as a fellow writer. I'll end up writing about 30,000 words in six weeks, because the whole outline and all of the details and everything for the book ... For anybody who doesn't count in terms of words, 30,000 words is probably a good 100 pages, maybe more. The reason for that is because every piece of the story and everything else is outlined in a really detailed way. When you mention the process, a big part of it is that, so that I don't have that moment where I got to sit there looking at that blank screen, saying, "Damn, what am I going to write now?" Jay Baer: Yeah. How late in a year would you have to discover and curate a trend for it to make the book? Rohit Bhargava: The whole process is pretty ongoing, but when I'm starting to write, you can, as you can imagine, each one of these chapters is individual to a trend, so I don't necessarily have to have everything day one, because I'm writing it piece by piece. Things can appear, and new stories appear all the time. I'll rarely be in a situation where, getting to the finishing part of a book, and then all of a sudden I see something totally new that I'd never seen before. I'm like, "Oh, my gosh, we got to put that in." That really doesn't happen. What happens is we have a trend. We're writing the whole thing, and then a new story comes up, and it's like, "Ah, that's such a better story." Jay Baer: Yeah, it's more evidence of the trend more so than the trend. Rohit Bhargava: Exactly right, yeah. Jay Baer: And then you come up with a different story like, oh, that's better, funnier, more interesting and more timely. You're always swapping them out for new and improved vehicles. Jay Baer: I think this is the best one yet. I really sincerely mean that, partially maybe because you have got more and more practice every year, but I think just the trends themselves, what you've brought to the book this year and the names of the trends, you have outdone yourself this time. The 2018 edition is the best one in my estimation. They're all great, but I think it's the best one, so congratulations on that. Rohit Bhargava: Thank you. I'm glad you like it. That means a lot. Jay Baer: I think my favorite trend, and the one I'll have you explain first, because I think it has a lot of applicability to social media and social media professionals, is backstory telling. That is pure genius. You should be trademarking that one. That is really, really good. Explain that trend and what social folks need to take away from it. Rohit Bhargava: Yes. Backstory telling is a new lens on storytelling, which we hear about all the time. I could come in and say, "Well, the trend is that marketers are telling stories," but that really wouldn't be a non-obvious trend. That would be, you'd be sitting there saying, "Well, duh, thanks, man. I heard that lots of times." Backstory telling is this idea that companies are now actually figuring out that their story is a long thing. It's a history. In many cases, being able to go backwards in time and say, "Well, why are we here? How did we start?" Not just doing that for if you happen to be a brand that is 50 years old or older but also how do you start that if you're a new brand and tell the story in a way that makes it meaningful for why you do what you do and why people should believe you. Really, that was what I started to find interesting stories about. Jay Baer: The other one that's somewhat related and I think has equal social media applicability, because you see it play out in social all the time, is brand-standing, this idea that brands are increasingly leaning into, narrowing their market by saying, "We associate with this particular view of the world," and that's fine. Maybe a classic example would be Chick-fil-A or something along those lines, and you're starting to see more and more organizations say, "Hey, these are our value systems, and we want our customers to share those values, and we're totally okay with that. We're actually going to use it as a marketing fulcrum," whereas the precedented marketing has always been, "Well, don't anger any customers. Don't limit your market intentionally by going out on a limb like that." Now you're seeing more and more companies do that. Do you have an example you want to share with the listeners and maybe talk about how you see that happening in social media? Rohit Bhargava: Yeah. We had a great example this week. I know you and I traded some emails about it, with Patagonia, taking over their website and saying, "We believe in more national parkland and in the government not taking that away from us." They took a stand. For the longest time, and anybody who's worked in PR or marketing knows, that usually you don't want to take a stand, because you're afraid that you might piss somebody off and then you're going to reduce your sales. Yet, here we are living in a world where it's not just the most crazy pioneering brands, but it's CVS years ago saying, "We're not going to sell tobacco anymore." The meaning behind these things is becoming more important to people. What I started to do when I was writing about this trend was not just find examples of brands that have taken a stand, of which there are many, many, and probably your listeners out there thinking of some in their head too, but I tried to come up with, well, what does it mean to take a stand. One of the things we started doing in this year's book, which was a little bit different for us, we started building frameworks for this stuff, because it was all there based on what we were seeing. For a brand-stand, one of the things we were looking at was, okay, it's not enough to just take a stand if it has nothing to do with what you do. Patagonia taking a stand for national parks makes perfect sense, because they sell outdoor gear. It would make less sense for them if they took a stand on nutrition and food. They could but it wouldn't make as much sense to people. Those are the sorts of things that we started thinking about to say, "Okay, brands taking a stand is one piece of this, but what should you take a stand about?" Jay Baer: Yeah, that's really well-articulated. In fact, the homepage, just for listeners who may not be familiar, if you go to Patagonia.com, as we record this in December, the homepage reads: "The president stole your land. In an illegal move, the president just reduced the size of Bears Ears and Grand Staircase-Escalante National Monuments. This is the largest elimination of protected land in American history. Learn more." That's the whole homepage. There is no product. There is no, "Contact Us." It is literally just that. They're pinned tweet right now reads: "This is why we're suing President Trump." That's pretty strong. Rohit Bhargava: The thing is, other brands and consumers are looking at that and saying, "Well, that's the extreme," and so it moves the bar for everybody else. Jay Baer: Yeah, right. If you figure that's the outlier, then what's 30 percent less aggressive than that, right? That becomes more normalized. I didn't think about that part of it, but that's really fascinating. Your contention is that more brands will do this, because brands that push it to the limit, as Patagonia is doing, makes it a safer place for them to be slightly more brand-standing as opposed to what they're doing, which is all the way in. Rohit Bhargava: We're seeing brands suffering from doing the opposite of it, right? You've got NBC, that spent, arguably, decades employing people who they knew were not treating women very well, and they swept it under the rug, and they got away with it until very recently. We're seeing the downside of not taking stands too. Jay Baer: I'm going to ask you one more and then let Adam jump in and talk about his favorite trends of the year also. This one really struck home with me because it is very endemic in the social media business. So many of us, including myself and Adam as well, use some technology, some automation technology, to engage in social media from time to time, and certainly there's a school of thought that says you should never stage a tweet. You should never auto-post anything. I certainly understand the wisdom there. 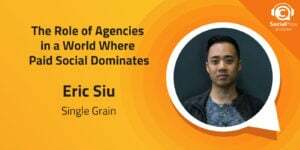 We talk about it on the show all the time, but the fact remains that many people and many organizations, especially medium to large organizations, do use scheduled tweets and things of that ilk, but human-mode is one of the trends that you curated this year. Can you talk a little bit about human mode and what it's in reaction to? Then I'd just like to know your personal opinion since you've done a lot of work in social in your career as well, how you feel about social media automation and whether that is verboten now given the rise of human mode. Rohit Bhargava: I think there's two pieces to this, right? One piece of human mode is that we as people prefer people, which I don't think will be a surprise to anyone. If you've ever called an 800 number and desperately wanted to speak to someone instead of something automated, you know that feeling. There is a currency and value that we attach to people, because when we have people there, it's a different sort of experience. I think what's shifted now is that we can now choose this as an option more and more. It's becoming an option that in some cases people may want to pay a premium for in some way. You've got Betterment, which is a robo-advisory firm for financial services, so probably the pioneer in robo-advisers, which if you're unfamiliar with, are basically robots that help you figure out where to invest, because they're impartial, as opposed to a financial advisor, who may or may not be choosing an investment based on the commission opportunity. Betterment's announced this year that their premium version actually includes a human advisor. Here's the pioneer in robo-advisory firms saying the premium version has people. I think that really speaks to this sense of we want that human connection. We want the people behind this. Adam Brown: Jay, that's why you get paid the big bucks, my friend. That's good. Jay Baer: You can have that one for the 2019 book. I'll give that one to you. Rohit Bhargava: Addendum time right there. I can see it right now. In fact, I'm going to go to my local Barnes & Noble and I'm going to write it on one of the pages on the inside just to start to brand it now. Jay Baer: You're a pro, man. You'll make up stickers. I know how you work. You'll have stickers. Rohit Bhargava: You got me there. Adam Brown: Talk a little bit about that. Talk about, as you've done this over the past couple of years, have you seen things like this Betterment example, where in that case, technology went so far, but it went so far that it actually almost helped propagate and push another trend going in 180 degrees the opposite direction. Do you see that more and more, and have you seen more examples of that in the years that you've done the Non-Obvious book? Rohit Bhargava: Yeah. It's interesting that you spotted that, because there's a couple of elements to that that happen all the time. One is the anti-trend or the counter-trend, which is everybody starts doing one thing and so then someone or a company who wants to think different does it the opposite way. I think the backlash concept that you're talking about is very prevalent out there. If I think about, I think it was two years ago, one of the trends I had written about, we called it strategic downgrading. It was all about this idea that sometimes we want the older thing because we were used to it, it worked better, it was the ultimate reason why we all know how long we stuck with Microsoft Windows 2011, and it definitely wasn't 2011 when we changed. We stuck with it for a long time. There was really interesting stories around John Deere tractors and how they had these beautiful new tractors for farmers that had all this GPS positioning and software and just really, really smart weather data, but when it broke down, these farmers would have to wait for an engineer to come and fix it instead of fixing it themselves with the parts that they had. The farmers were saying, "Look, I can't afford the lost productivity, so I'm going to return this beautiful new tractor and buy an old one. I'm going to downgrade on purpose, because at least I can fix that one." Adam Brown: I've heard examples of that too. You hear examples of Cadillac coming out with a new touchscreen and things like that, and people go, "Where's my climate control knob? I just want a knob. I want to be able to turn the volume up and down with a flick of the wrist." Rohit Bhargava: I know. I hate the whole push-button start thing in a car. What do you do with the keys? Now you lose the keys all the time. It's so crazy, right? I prefer to just put the key into the ignition. Was that really broken? Do we need to fix that? Adam Brown: I think this whole idea of the anti-trend is interesting, and I want to bring it to social. Another thing that really fascinates me about your books, and now I've been lucky to read three of them, is the Non-Obvious portion of this. For those of our listeners who haven't heard the previous podcast that we did in January of this year or been familiar with your books, I'd love for you to talk a little bit about the non-obvious piece. My question is, how does this related to social. I think one of the things that we have to accept as social media professionals, and really, just digital marketers, is the idea of personalization. That is our holy grail. 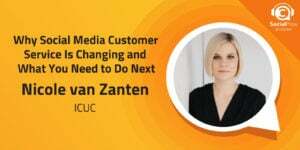 Everything we try to do is about personalizing the message, but for our consumer and for all of us as consumers, this means the content that we see, whether we're on CNN.com or we're on Facebook or Twitter, is in some cases curated for us, so we begin to see content that may be surrounding ourselves in an echo chamber. Is there a trend there? What's the ramifications of a trend when we aren't really seeing the bigger picture? Rohit Bhargava: What you've spotted I think independently on your own is really interesting, because it relates to two other trends that are in the book. One is something we called manipulated outrage, which is kind of what it sounds like. The other one is a trend we called over-targeting. If you think about this idea of personalization and how there's so much deep data that you can assign values to people that sometimes are mistaken, it's leading to a problem. The example that I opened the over-targeting chapter with was me being in the market for a bow tie. Jay, you wear far more bow ties than I ever will. I had one event where I needed a bow tie, and I didn't have one that wasn't black. I wanted to have some personality, so I went online and I looked for a bow tie, and I figured out that I couldn't get one arriving in time because I waited till the last minute, as usual, so I went to a local store. I bought a bow tie. I went to my event. I was done. For the next three weeks, I saw ads for bow ties, adver-stalking me, which is a word I've made up to describe what was happening, which was these ads saying, "Hey, you put this bow tie in ..." Yeah, remarketing is what we call it in the industry. I was basically being stalked by these bow tie ads, and I couldn't get rid of them, because they had no way of knowing that I'd already gotten the bow tie. I wasn't really a consumer for bow ties. I was just looking once. All they were looking at was, "Oh, he put a bow tie in his shopping cart, and then he didn't check out, so let's just aggressively try and get him to check out on a product he doesn't want." That happens all the time, because the data says one thing. The data says, "Oh, look, this guy's a great consumer." Reality says something else. We're not that good about figuring out which one's which right now, because that requires insight. Adam Brown: Have you see, and I think this is a great example of it, trends, that now you look back a year or two later, and you're like, "Wow, I really got that one right? That one, man, that was right on the money." Then others that are, "Wow, I couldn't have been any more wrong?" I'm not curious really about what those trends are but more about the thought process and did that change and adjust the thought process you have as you're teeing up on the newest book, the 2018 trends, and as you continue this process, looking at trends more in the future? Rohit Bhargava: One thing you guys know about me is I'm not afraid to run towards the disaster predictions on the ones that didn't come true, because a lot of this process is about trying to determine what's happening right now, and the prediction isn't, "Oh, this is going to happen even though nobody's heard of it." The prediction is, "This is happening right now, and I predict it's going to accelerate. I predict that it's going to be more meaningful and more people will care about it." There are a bunch of trends. Actually, this is one of the problems we had, which is there would be years where something would get predicted, and it would be so interesting, and over the next three years it would just accelerate. It was three years old. Just like anybody who's ever written a blog and written something brilliant and then six months goes by, what happens to that brilliant blog post? It's buried, right? Nobody ever sees it, which is a bummer. One of the things we started doing is every year we actually bring back five previously curated trends. In this 2018 report there's actually ten brand new trends that we've never used, and there's five revisited trends from previous reports. Not the immediate previous years, so this 2018 report doesn't have any 2017 trends, because those are too recent. Previous to that, we look at a trend and we say, "How has it evolved? What's different? What's interesting about it," and we bring it back. That has been a really fascinating process, because it allows us to look at something over time. You think about a trend that, for example, came in 2015, I think, that we called virtual empathy, which was all about virtual reality allowing us to have more empathy for people in situations who aren't like us. Now we brought it back in 2018, but virtual empathy is less about virtual reality, the technology, and it's more about this idea of having empathy in other situations with other people. It may be sometimes in real life too. Adam Brown: As you look at these, especially these trends that you're going back and revisiting, I am certain that technology has a lot to do with how you're readjusting or refacing. We all know technology is going someplace. Virtual empathy is a great example. Virtual reality just a couple years ago was the next big hottest thing. Now today virtual empathy has, as you said, a very entirely different message. I'm curious, at a macro level, how much are the trends being impacted by technology, or is technology impacting the trends? Is the way that we're approaching life, and not to be pessimistic here, but the old proverbial, we have our head down. We're looking at our mobile devices. We're interacting with people in the virtual world rather than people in the physical world. Is that having an impact on trends and how you're approaching talking about them? Is this coming true even more as you go back and revisit trends from past years? Rohit Bhargava: There's a definite relationship. I think one of the things that I spend a lot of time doing is looking at how trends are predicted in the market, just in general. Right now is a great time. Before that, because it's the end of the year, and so everybody's talking about trends. A lot of times what happens with trends is trends get intersected with technology, and people think the technology is the trend or the platform is the trend. A couple years ago you would look at the trends and people would say, "Snapchat is a trend," or it was 3D printing that was a trend, or it's drones that are the trend, or it's artificial intelligence that's a trend. These are all things that exist, they’re technology. In our research, the technology is never the trend. The technology enables the trend sometimes, and it's an element of the trend, but the trend is always something more behavioral. It describes how we think, what we believe, how we act. A great example of that was when 3D printing was out there and everybody was talking about it, we said, "Look, it's not about 3D printing. The trend is actually something closer the maker's movement, the idea that we want to make our own things, and we have the sense of pride in making it. 3D printing just lets us do that." Jay Baer: I want to ask you a real specific question about disappearing video in stories. You don't have this in the book as far as I know. I don't think you've had it in any of the previous books explicitly, or even implicitly, but as a marketer, and you've been a digital marketer and a brand marketer for a long, long time, and Adam and I have chuckled about this in recent shows, that everything has a story's layer now, right? YouTube just rolled out their own stories. Now you can get microwave stories and fireplace stories. Every single social media network now has a disappearing video feature, which seems a little absurd, perhaps, or maybe this is the future. As a trend curator, what is your take on stories? Rohit Bhargava: It's a loaded word. A lot of stuff is called story that isn't really in the traditional sense a story. There's no characters. There's no dramatic arc. There's nothing that makes it story. It's more akin to a photo album, which by itself is not really a story. I think that this idea of disappearing, if I can elevate the question slightly, this idea of disappearing content, and this whole sense that among the youngest consumers ... I remember talking to my son, who just became a teenager. I remember we came back from a vacation, and we had all these pictures, and he posted stuff on Instagram. Then I looked at his Instagram feed, because we're connected, I figured that's what I should do as a responsible dad, be his friend on Instagram, right? All of a sudden he only had four photos there. I said, "Hey, what happened to your photos? Did you lose them?" He said, "No, I deleted them." I said, "How come you deleted them? Don't you want to keep ..." because I'm thinking like an old dad, in the photo album mentality, like, "Those are your memories." He's like, "Nah, they didn't really ... I wanted to show a different part of me right now, and so I just deleted them and showed something else." I think this is a different kind of mentality, because we've, at least some of us more hip guys who think, "I use social media and I use all these things. I'm not so old that I'm not on this stuff," but the way I think about the way I use it is different, because I think about it as like an archive, and that's not what my teenage son is doing with it. Jay Baer: Yeah, I'm looking at my son ... My son's Instagram right now. I just pulled it up as we were talking. My son's Instagram has three pictures on it, but he has posted over his Instagram career hundreds of pictures, but it currently has three. Rohit Bhargava: Yeah, that's why Instagram launched that archive feature, because they're panicking because all this content's going away, so now they can't monetize it. Adam Brown: Just imagine how much content young people today are going to have when they get to be our age. The terabytes of pictures and images and where they were. Jay Baer: But they're not going to care, though, but that's the thing. They're going to have terabytes that they don't care about. Rohit Bhargava: The thing is, they're going to have some stuff out there ... This is the downside. I can remember myself way more awesome in high school than I actually was, because I don't have photographic evidence to the contrary. Jay Baer: Ain't that the truth, yeah. That's exactly it. What's the driver of that, though? Is it the curated self, that I only want to put out there the things that are true or I believe to be true about me right now, and I want the three best photos that represent my current state in life, or is it a lack of interest in looking backward, that it's sort of a anti-nostalgia trend, "Why would I want to have a scrapbook? Why would I care about that?" Rohit Bhargava: I think if you look at young people's mentality and behavior, young people never look backward. Nostalgia was not created for young people. Young people don't have nostalgia, I don't think. I think this idea, though, of, "This is me now, this is my real time thing." The way we would do it is, "This is my pinned tweet," or, "This is my most recent blog post, and so check that out, because that's what I think right now." Their mentality is, "That's it. I don't want all of this other stuff. I just want that." Adam Brown: Do you believe that this whole idea of the curation that Jay talked about, does that relate to the manipulated outrage trend that you talked about in this year's book? I think there's a causality there. Rohit Bhargava: Absolutely, yeah. Curation, if there's a theme in the part of the book that you talked about as the non-obvious part, which is about the process, curation is the word that describes that, because I believe that's the way we get to amazing ideas. If we can become idea collectors and we can collect ideas the way that most of us collect frequent flyer miles, we keep them until we need them, then we would be smarter. We would be able to do great stuff. When it comes to this idea of manipulated outrage, I think one of the things that I started digging into, and this was an interesting question we asked when we started doing the research around brainstorming of this, which was, is there a business model for outrage in terms of who's profiting from this outrage, right? We found that there is in fact a business model for outrage and put it as because engagement happens when we're angry as humans. We can't help but get engaged when someone makes us angry, and so it has become a method for that. I think the other piece of it is that outrage allows for us to describe ourselves in a very specific way. The other thing we started looking at was what happens in a world where more people consider outrage to be part of their identity, where hashtag resist is in their bio. Are they able to compromise? Are they able to see other people who don't agree with them and not get angry, because their whole identity is about outrage, right? If my whole identity was about outrage, I would have to be outraged. Otherwise, I'm not consistent with myself. Jay Baer: It's true. You certainly see characters in social media, friends, colleagues on Facebook, in particular, at least for me, who seem to always be outraged about something. It is part of their brand identity. When I was a much younger man, people would say they're not happy unless they're unhappy, and that seems to be on the rise. Obviously, that is anecdotal evidence, at least on my side. Rohit Bhargava: Yeah. There was a really concerning study that Facebook released saying, if you happen to be the sort of person that reads an article on Facebook and clicks the angry button, their algorithm actually serves you more stuff to make you angrier, because that's what it thinks you like, which totally makes sense if you think about it, right? Jay Baer: Of course, yeah. Like you said, they're selling engagement, right? They're selling engagement. Do you feel like brand-standing, like we talked about with Patagonia, and manipulated outrage, are going to collide at some level, and you're going to have brands say, at the company level, "We are going to intentionally try and be provocative in a way that goes far beyond what we might have seen in previous years, with Benneton, for example, or racy TV commercials, things like that, and we're really going to try and push people's buttons and get them to click those angry emojis so that they see more ads and eventually actually buy the things that they purport to hate?" Rohit Bhargava: Yeah. I think we're already seeing that on some level. There is this sense that I want to feel in a certain way and have my identity crafted in a certain way, and people are catering to that. You think of that click-bait headlines and all of these tricks that people have, particularly when it comes to social media, right? We all are trying to get educated about how to get smarter with social media, but at the end of the day there's all of these, "Oh, if you go on Instagram post and you post this comment to this person, and you look at who they're following, and then you follow that rabbit hole and you see which person has 12 followers that the celebrities following, and you know that they have influence." It's all these little games to figure out how to get to the influencer. We know these games. Your audience knows it more than most because we see it all the time. That's manipulation in some way, right? Jay Baer: Yep. It's amazing. 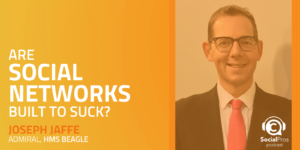 What is not the manipulation, at least not really, is the eBook from our sponsor, Salesforce Marketing Cloud, called, The Business Leader's Guide to Becoming a Social Business. As we've talked about, your customers expect one-to-one interactions with your brand every day, and those expectations continue to rise. What this book gives you is the ability to assess your current social team. Do you have the right people in the right roles? It gives you a lens for thinking through whether you're missing opportunities, particularly timely, given the time of year it is right now, and how to position your social organization for real success now and into the future. It's a really good read. It's not going to take you too long. It's not super, super dense, but very thoughtful. Good work by Adam and the team over at Salesforce Marketing Cloud. Pick it up if you get a chance. It's going to slow down here around the holidays probably. I want you to grab this and read it. Go to Bitly/SocialBusinessGuide. That's Bitly/SocialBusinessGuide, all lowercase. Of course, you can always go to SocialPros.com if you miss a link, if you miss an episode, if you want to read the transcript, you want to have a direct link to Rohit's book on Amazon, or all of his books, go to SocialPros.com. Every single episode of this show, over seven entire years, is right there. Check it out. Adam Brown: Thank you, Jay. I hope everybody does like that eBook. It's a good one. Another thing I hope everybody will read is Non-Obvious 2018, How to Predict Trends and Win the Future, by our guest, Rohit Bhargava. I tell you, the 2017 version of this book I loved. I gave it as a holiday gift. What I found, and where I'm going with this question, Rohit, is that everybody enjoyed it. I gave it to professors. I gave it to marketers. I gave it to people that were just CPAs and MBAs. Everybody got something out of this. I think that's one of the remarkable things about this book and about the trends. My question for you, having done this book and done your other trend books for several years, you have to have gotten a lot of comments, letters and notes from people who have read and the book has had an impact upon them. I'm curious if you've heard from anybody that said, "Rohit, this book was fantastic. I read this and it had this impact on a decision I made or a trend that I was able to capitalize upon." What kind of stories do you hear from from readers of your books? Rohit Bhargava: You get all kinds of stories. I'd love to just tell you, it's all positive, right? Sometimes you get stuff that's maybe not so positive. You learn from that too. I think the greatest compliment I get on this book is based on the intent of what I wrote it for, which was partially about trends. I love trends. I do a lot of consulting and speaking around trends. That's the world that I'm in, but really what I'm trying to do with this book is I'm trying to get people to see outside of that stuff that's just served up for them. If there's anything I hope people take away from this, it's, "Hey, be curious about the world outside of your industry, outside of what you do. Learn about other people. Have more empathy." That, to me, is non-obvious. It's the reason why every one of these trends, what I don't do is go in and say, "Here's the financial services trends. Here's the retail trends. Here's the healthcare trends." It would be so easy to do that. Probably, as you guys know, more commercially successful, to do that too, because then I could just take these trends and be like, "Here you go, healthcare." Roll out the speaking gigs for pharma. "Here you go, financial services." Roll out the stuff for them. That's not the way I think about the world. That's not the way I want to inspire other people to think about the world. I want them to see it in terms of intersections. One of the quotes in the book that I love is from a chef who's asked, "What do you try and do?" He said, "I try to eat a different fruit from a different part of the world every single day. That's my ambition, to do that." What if we could do that with ideas, with industries? That's what I get excited about. When someone sends me feedback, yeah, order it with beer, totally, or tequila, with Jay, and share that passion, for sure, or rum. There's lots of stuff, right? At the end of the day, that's what I love to hear about. When I get something like that, it's awesome. On the flip side, because I don't want to leave you hanging on the negative stuff too, which I sometimes get, you'll get someone who comes in and says, "Look, I read this whole thing. You're supposed to be a futurist, but what about this thing? What about all those people who are preparing bunkers for the end of the world and the whole movement of those people? You didn't even talk about them. What's wrong with you? That's huge," because people have their worldview and they see what they see. If they read a book about trends, about 2018, and they don't see that thing, and they're like, "Dude, you only had blockchain mentioned once. What's wrong with you?" I'll get that kind of feedback too. 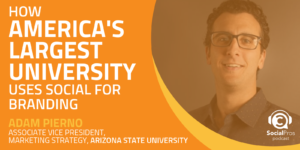 Adam Brown: To that point, when you go in and speak with executives and when you give speeches and consult with some of the world's leading brands, how do you work with, in many of these instances, business leaders, to get them to start looking at those non-obvious things? Obviously, that is your gift and one of the reasons that your books are so successful. Is there anything that you can tell or share with someone that can help them adjust that focus knob on their camera so they're not just focusing on the thing that's in the middle of the screen but they're focusing on those non-obvious things that may be around the periphery? Rohit Bhargava: Yeah. If there's a secret at all, it is understanding that no one wants to be worse than where they are. Everyone wants to be better. Everyone wants to get better. If you know that, then you can put things into a frame of reference that people will get, because instead of going in and challenging their worldview and saying, "You're wrong because you do this," or, "Can you believe how stupid you were because you thought that?" That's not helpful. What's helpful is to give them that picture of, "You could be that person." "You could be like Isaac Asimov." "You could be that person who sees these things that nobody else sees, and if you could be that person, all these things would open for you. You'd advance in your career. You'd sell more products. You'd come up with more awesome stuff. You'd be a superstar. You'd have more time for all those things that you love. How do you get there, because you want to get there, right? Everybody's sitting there, nodding along. Of course they want to get there. Then you take them through, "What if it was as easy as picking up a magazine that's not targeted to you in an airport the next time you're traveling and reading that, because that's one example of being curious and having more empathy and getting outside of yourself, and it's super easy. What are the things like that that can help us get to where we all want to be? Jay Baer: I think you should take your business books of the year program that you do, and for listeners, Rohit has non-obvious book recommendations, maybe came out today, where he says, "These are the best business books of the year," in addition to his own fantastic book, which is a really nice thing that you do, and just create a non-obvious book club where people can sign up, and you're going to send them a book that you think is really awesome every month, and some of them are going to be business and on topic, so to speak, and some of them aren't going to be. You can help drive this idea of cross-pollination of ideas. I want you to do that. Rohit Bhargava: You know, it's funny. I've done that in a non-scalable way, where I will sometimes get some of these books, and for some of my clients I will physically highlight stuff in the book. Then I'll send them the book with the highlights and say, "Hey, read this part. Read this part." I can't do that for lots of people, obviously, but I love the book club idea. I should definitely do that. I'm going to figure out how to make that happen. Jay Baer: I would sign up for Rohit's book club, for sure. I love this idea of just pick up a magazine that you're like, "I don't even know what this is, but that's whatever, I'm just going to educate myself and open my eyes." We should have Netflix Roulette. There should be a roulette button in Netflix where you just press it and it just gives you some random show. Adam Brown: A "Surprise Me" button. Jay Baer: Yeah, "Surprise Me" button on Netflix. I'd be super into that. Rohit Bhargava: That would be great. There's some awesome stuff on Netflix that you just discover when, or here's an even easier thing to do, because we all have usually family accounts and we share stuff. Log in as a different family member and just see what comes up. That's pretty easy to do too. Jay Baer: I'm not sure I want to do that actually. I have two teenage kids. Rohit Bhargava: Yeah, maybe you don't. Jay Baer: That may be a very disheartening exercise. Rohit Bhargava: I'm lucky I have boys, so it's all super hero shows, so whatever. Jay Baer: Yeah, there you go. Is that a trend that you're thinking about for next year, that overwhelming amount of, this idea that people are almost getting streaming fatigue now, where it's just so ... I've talked to so many people anecdotally who said, "Yeah, I know that's a really great show on Netflix or Amazon or Hulu, whatever, but I just ... I can't. There's too many shows. I can't deal." We've gone from 50 scripted shows a year to thousands of scripted shows a year, and that is unsustainable. It's insane. There's got to be a limit to that. Rohit Bhargava: Maybe. Maybe not. People are already adapting their behavior. I just think about, for example, I was looking for a new show to watch when I am working out, and my criteria was, A, it's a show that's interesting for me, and, B, it has at least four seasons, because I don't want to watch a show that has one season that's going to get canceled, and then I'm all into it and nothing happens or I have to wait. I'm not interested in that. Now my criteria has become, it's been around for four years, so I'm intentionally looking for something that's old. How crazy is that, but for me, it's like I know, yeah, I know that there's enough episodes there that I'm not going to run out. Jay Baer: How far back will you go, back to Deadwood and The Wire or that kind of thing or more like, Breaking Bad? Rohit Bhargava: Yes. I could do that. The one I'm into right now is called The 100, which is a CW show. I definitely don't think I'm the target audience for it, with all the music and stuff is like, but I love it. It's a great show. Jay Baer: Yeah, I remember when that was out. Rohit, thank you so much for being here. We're going to wrap this up with the two questions we've asked every guest, including you earlier this year, so this will be like a weird deja vu moment, which may be a trend for 2019, who knows? What one tip would you give somebody who's looking to become a social pro? Rohit Bhargava: The one tip I would say is watch something or read something long through to the end, which I don't think we do very often. I don't even care what it is, but just start it and finish it. That would be nice. Jay Baer: Get to the last page. I like that. That's good advice. The last question we'll ask for you and everybody, seriously, go to Amazon, jump on there, get a copy of Non-Obvious 2018. You are going to thank Adam and I for the recommendation. It's super, super good. Rohit Bhargava: With any living person? I think my current obsession, if you can call it that, would be to speak with Dilbert creator, Scott Adams, because he wrote a book about the psyche of Donald Trump that is very different than anything else. I'm not sure that I agree with what he says, but I know that if I had a conversation with him, it would challenge me to think about the world in a way that I just don't right now. I can't imagine anything better coming out of a conversation than that. Jay Baer: Yeah, he is a super interesting guy. I had the pleasure of working with Scott Adams at an event a couple years ago that I MC'd, and he was one of the speakers. We spent a bunch of time backstage, and he is a really, really fascinating character, a crazy, smart guy, and absolutely looks at the world in a different way. Yeah, that would be a great Skype call, no question. Adam Brown: You've got the connection, Jay, so, yeah. Jay Baer: Let's get him on the show. Let's do that, Adam. I'll see if we can reach out to ... That new book is great. Was that one of your picks for books of the year, Rohit? Rohit Bhargava: It was, yeah, because it just ... Reading an entire book from someone who thinks Donald Trump is a master persuader and knows exactly what he's doing at all times is challenging, right? Rohit Bhargava: To get through that point of view, but I learned something from that. Jay Baer: That book is basically, "Crazy like a fox," is the thesis of that book, which is really interesting to ponder. Rohit Bhargava: Yes, it is. Jay Baer: Hey, I'm going to ask you one other thing before we let you go. One of your other favorite books of the year was Phil Jones' new book, and I want you to just comment on that quickly for listeners, because Phil's going to be on this show next month, and I want you to tee it up. Rohit Bhargava: Awesome. Yes. His book was great. It was all about the words and phrases that have an out-sized possible effect in terms of persuading people. His book's called, Exactly What to Say, and it is, it delivers on that. Where some people might give you the philosophy around what could you do and how could you do things differently, he's like, "Look, in this situation, say this. Use exactly these words, and this is what will happen." I think I chose it as one of the most useful books of the year because of that, because of how prescriptive it was, because I think a lot of times books don't do that. They want you to figure it out. They want you to find your own path. This book is like, "Look, man, this is the path." I appreciated that. Jay Baer: Absolutely. It's a terrific book. He's a spectacular public speaker, a very smart guy. He's going to be a great guest, so he'll be coming up next month. Rohit, thank you so much for being back on the show. We have very few repeat guests, and you are, for sure, the only person that's been on this show twice in one calendar year. That is absolutely true. We cannot wait to have you back if you'll have us for the 2019 edition of Non-Obvious. Ladies and gentlemen, go out there and get it, my friend. Have a fantastic holiday season. Thanks for all the work that you do. We are all richer for it. Rohit Bhargava: I am very, very glad to be here. I specifically write this book annually so that I can be on the show, so I appreciate that it's working. Jay Baer: I know that that's not true, but thank you. I appreciate those kind words. Ladies and gentlemen, I am Jay Baer from Convince and Convert. He is Adam Brown from Salesforce Marketing Cloud, and this has been Social Pros.